This entry was posted in bath and body, Natures Garden, Soap making supplies, Uncategorized, wholesale fragrance oils and tagged 7 Up Bundt Cake Soap Recipe, 7 up pound cake fragrance oil, Alien Princess Fragrance Oil, autumn crafts, bamboo hemp fragrance oil, bamboo hemp soap recipe, bath and beauty recipe, bath and body, bath and body recipes, candle and soap, candy scented, candy soap, cosmetic supplies, Dracula's Dentures Recipe, fragrance oils, free reicpes, Fresh Fallen Leaves Fragrance Oil, fresh fallen leaves soap recipe, Ghost Soap Recipe, Goodie Goodie Gumdrops Fragrance Oil, guest soap, guest soaps, Gumdrop Melt and Pour Soap Recipe, gumdrop soap, Gummy Bear Soap Recipe, halloween soap, how to make soap, Lunar Eclipse Fragrance Oil, m&p soap making, making soap, melt and pour soap, Melt and Pour Soap Recipes for Fall, monster snot soap jelly recipe, mp soap, natures garden, Pumpkin Puke Soap Jelly Recipe, Pumpkin Roll Fragrance Oil, salt water taffy fragrance oil, salt water taffy soap recipe, scented soap, soap making, soap making supplier, soap making supplies, soap mold, soap recipe, soap recipes, spiced gumdrops, Tart Green Apple Fragrance Oil, Tropical Blast Fragrance Oil, where to buy soap supplies, wholesale cosmetics, wholesale fragrance oils on October 19, 2018 by Deborah Ward. Autumn is one of the most beautiful times of the entire year. The bright orange, yellow, and red hues in the crisp falling leaves is truly a sight to behold. However, watching the flutter of the beautiful leaves through the crisp autumn wind is not the only fun part of this time of year. Of course, this season contains a few different fantastic, fun holidays. Of course, we are talking about both Halloween and Thanksgiving! Whether you are young or old, this season has plenty of fun for everyone to enjoy themselves! Of course, another fun way to spend this season is to create some different fantastic and fun holiday crafts. We at Natures Garden Candle and Soap Making Supplies were inspired by all of the best aspects of the autumn season to create all kinds of fun bath and body recipes. These cosmetic recipes include all of our best melt and pour soap recipes for fall. Of course, you can use our melt and pour soap making supplies to create some fantastic cosmetic recipes. These soap making supplies include lovely fall fragrance oils and our melt and pour soap bases. If you are interested in creating any of these soap making recipes, then you may want to check out some of these recipes below. First, you can create the Fresh Fallen Leaves Soap Recipe for this lovely fall season. This soap making recipe uses a straw and the leaf soap mold to create a fun design! So, this melt and pour soap recipe is made to have a design perfect for fall. You will create a design of tree trunks topped with a large pile of brightly colored fall leaves. So, this melt and pour soap recipe has an absolutely perfect design for this lovely season. Not only does this cosmetic recipe look like grown trees with colorful autumn leaves, but this soap is scented with the aroma of Fresh Fallen Leaves Fragrance Oil. Fittingly, this fragrance has a perfect aroma of autumn with a fitting aroma that is true to the name! Another scrumptious melt and pour soap recipe that you can create is our 7 Up Bundt Cake Soap Recipe. Of course, this fun melt and pour soap looks like a bundt cake, but that isn’t all. Further, you can decorate this cake soap with a sweet soap frosting. So, this bath and body recipe will provide you with a scrumptious recipe for soap that looks like food! Not only does this soap look like a yummy bundt cake, but it is scented with the scrumptious aroma of our 7-UP Pound Cake Fragrance Oil. This scented oil is a fantastic blend of warm cake, almond, lemon, lime, and sweet, sugary vanilla. So, you can create this fantastically delicious soap for this lovely fall season. One great recipe that you can create for Halloween is the fun Dracula’s Dentures Recipe. Not only does this monster themed recipe fit the Halloween season, but it is a fun and silly take on vampires, too. Plus, you can scent this melt and pour soap recipe with the sweet aroma of our Lunar Eclipse Fragrance Oil. This scented oil has notes of juicy fruit nectar and exotic floral notes. These fragrance notes blend with notes of sweet vanilla and honey. Not only would this fragrance be perfect for an evening filled with romance, but it is a perfectly irresistible scent for scented soap recipe. This combination of a sweet fragrance and fun vampire teeth is a perfect recipe for Halloween that everyone will enjoy. Additionally, you can create the Bamboo Hemp Soap Recipe this fall season. This simple melt and pour soap recipe uses the star anise seed whole herb to create a fantastic soap recipe. You can use this lovely soap recipe to decorate your home for the Thanksgiving holiday. Further, these cute little soaps are perfect for using as homemade guest soaps. Plus, this lovely soap is scented with the aroma of our Bamboo Hemp Fragrance Oil. This scented oil has notes of well-balanced blend of bamboo stalks, vetiver, and patchouli with undertones of hemp seed and oakmoss. This blend of fragrance oil notes is the perfect way to finish this melt and pour soap recipe. Of course, the refreshing scent and the simple, herbal appearance is another great cosmetic recipe that you can create for the fall season. Of course, a candy scented soap is another great cosmetic recipe that you can create for this upcoming holiday. So, you can create the sweet Salt Water Taffy Soap Recipe for this Halloween. 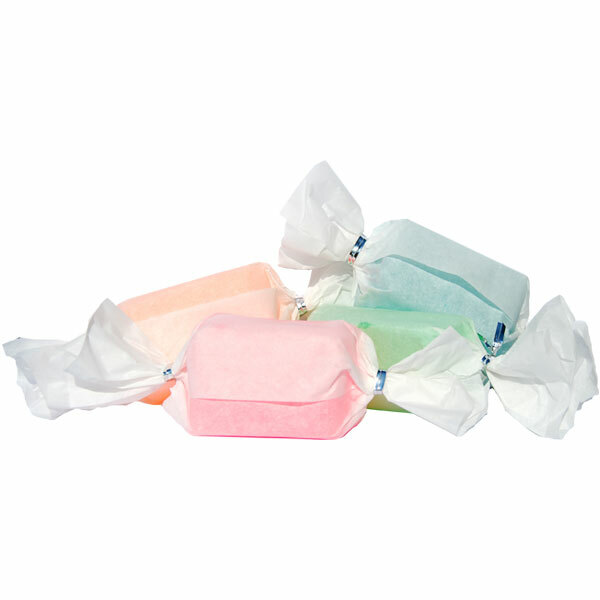 This cosmetic recipe uses four bright colors that are wrapped to look like scrumptious taffy candy Further, this candy soap is scented with the aroma of our Salt Water Taffy Fragrance Oil, which has notes of sweet berries, sugar, and creamy vanilla taffy. This scrumptious aroma has notes that bring memories of scrumptious taffy that will melt in your mouth. So, this is a great bath and body recipe that is perfect for the fun Halloween season. Another fun soap recipe for fall is the spooky Ghost Soap Recipe. Since Halloween is right around the corner, this ghost soap would be a perfect recipe for the season. So, you can use these cute ghosts to decorate your home. 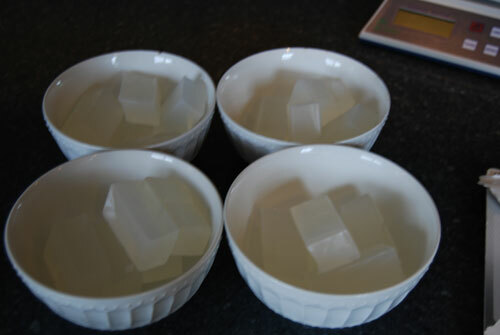 Further, you can use these lovely melt and pour soaps as well. Not only will this cosmetic recipe get you clean, but the beautiful aroma of Alien Princess Fragrance Oil will entice your senses. This fragrance has notes of bright, sparkling fruit notes and soft floral notes all rest on a woodsy base with vanilla and musk. You will love this alluring, spooky fragrance is the perfect scent for this fantastic melt and pour soap recipe. Also, you can create the fun and silly Pumpkin Puke Soap Jelly Recipe. This liquid soap recipe is a fun scented soap recipe that is inspired by pumpkins. This is a perfect cosmetic recipe for decorating this Halloween season. Of course, you can use the decorated container around the house during the season as well as use the soap to clean and provide a lovely scent for your body. Although we called this soap recipe pumpkin puke, it certainly smells better than that with sweet scrumptious notes! This fun bath and body recipe is scented with the Pumpkin Roll Fragrance Oil. This scented oil has sweet notes of sugar and a pumpkin puree spiced with hints of cinnamon, and nutmeg layered with a warm, sweet-butter crust, drizzled with maple and honey. So, this is another fantastic bath and body recipe that you can create this fall season! Not only can you create a pumpkin themed soap recipe for Halloween, but you have the option to create a monster scented soap, too. 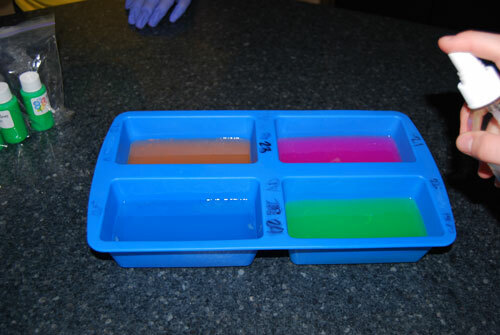 So, you can create the Monster Snot Soap Jelly Recipe! Again, this is a fantastic scented soap recipe that you can use to decorate your home. So, this cosmetic recipe is perfect for decorating for this fun, spooky holiday. You can use both the green slime color and the googly eyes to create a fun monster recipe. So, these features are fantastic for creating this cute bath and body recipe. Further, you will love the delicious scent of our Tart Green Apple Fragrance Oil. This scented oil has the true scent of tart green granny smith apples. The scrumptious aroma of this fragrance oil is a fantastic scent that is perfect for this sweet holiday. Further, the lovely Gumdrop Melt and Pour Soap Recipe is a fantastic cosmetic recipe to create for the sweet holiday of Halloween. This scented soap recipe allows you make fun, brightly colored gum drop soaps that are perfect for the biggest holiday for candy. Of course, this sweet treat soap recipe is scented with our yummy Goodie Goodie Gumdrops Fragrance Oil. This fragrance oil has notes of cinnamon, clove, eucalyptus, rose, cassis, nutmeg, and woods. These sweet notes blend together perfectly to create an aroma of spiced gumdrops with a yummy twist. These notes give this fragrance an aroma that is hard to resist! This sweet candy bath and beauty recipe allows you to make some fantastic melt and pour soaps for the fun fall season. Another delicious candy scented soap that you can create is the Gummy Bear Soap Recipe. This scented soap recipe uses the gummy bear soap mold and fun, bright colors to create a fantastic mp soap recipe. Further, this sweet scented soap has the aroma of our lovely Tropical Blast Fragrance Oil. This fragrance oil has notes of fresh tropical fruits. This fragrance oil includes notes of pineapples, mango, papaya, coconut, and juicy watermelon, that perfectly scent this soap. So, this fragrance will provide your mp soap with a sweet candy aroma that perfectly pairs with sweet gummy bears. This recipe will provide you with soap bars that smell like delicious, fruit candy and are covered in gummy bears. So, this recipe is perfect to add to your Halloween line of melt and pour soap products. Of course, you can create all kinds of fun fall cosmetic recipes. However, there are many other fun things that you can do this season as well! Other than Trick or Treating and Thanksgiving, there are actually quite a few fun things that you can fill your time with this autumn. You can check out a few haunted houses, carve pumpkins, and wear fun Halloween costumes. Plus, you can make a pumpkin pie or walk through a park to enjoy the splendor of all the falling leaves. Of course, there is so many more ways that you can enjoy the best parts of autumn! If you want to check out even more fun ideas for the fall, then take a look at Odyssey’s article on 21 Things To Do On Fall Break! You are sure to find something fun and absolutely worth doing this autumn! If you have anymore questions about creating these fun bath and body recipes, then you should feel free to reach out to us for answers! Also, you can use this chance to ask questions about any other of our free recipes for mp soap making. Of course, you can ask us at at either the Natures Garden store or on the our telephone help line. Also, you can reach out to us online. An easy way to reach out to us this way is through our social media pages. First, you can find us on Facebook. Additionally, you can reach out to us using the handle @ngscents to find us on both Twitter and Instagram. Further, you can use any of these social media platforms to share your own cosmetic creations. We would love to see your own fun fall inspired creations! We hope to hear from you soon on one of our social media platforms. Further, we hope that you have fun with crafting your own bath and body recipes! Natures Garden is not responsible for the performance of any of the recipes provided on our website. Testing is your responsibility. If you plan to resell any recipes we provide, it is your responsibility to adhere to all FDA regulations. Natures Garden cannot offer any advice on where to purchase ingredients that we do not sell. This entry was posted in bath and body, bath products, candle fragrance oils, Fragrance Oils, Natures Garden, Natures Garden Fragrance Oils and tagged 100% soy wax candles, air freshener fragrance oils, aroma bead fragrances, bath and body making supplies, body safe fragrance oils, bulk candle making supplies, candle ingredients, candle making supplies, candle waxes, candlemaking supplies, candlemaking waxes, candles, candy aromas, candy fragrance oils, Candy Fragrances, candy fragrances for candles, candy scent for soapmaking, candy soapmaking scent, childhood fragrance oils, childhood scents, cold process soap, cosmetic ingredients, cosmetic making supplies, cosmetic scents, crafts as a hobby, diy air fresheners, diy candle making, diy cosmetic making, diy soap making, fragrance oil, fragrance oils, fragrance oils for air fresheners, fragrances for aroma beads, fragrances that smell like candy, handmade soap ingredients, homemade, homemade candle ingredients, homemade candles, homemade soap, make homemade scented candles, make taffy scented soap, natures garden, salt water taffy aroma, salt water taffy fragrance, salt water taffy fragrance oil, salt water taffy fragrance oils soap testing, salt water taffy scent, salt water taffy scented candles, salt water taffy wholesale fragrance oil, scents that smell like candy, scents that smell like taffy, soap fragrance oil, soap making, soap making fragrance oil, soap making scents, soap making supplies, soap scents, soapmaking, soapmaking scent, soapmaking supplies, soaps, Soy wax, soy wax flakes, taffy soap making supplies, where to buy candle wax, where to buy soy wax, wholesale candle wax, wholesale fragrance oils, wholesale soy wax on September 13, 2016 by Deborah Ward. Unwrap a piece of mouthwatering salt water taffy and enjoy! Salt Water Taffy Fragrance Oil from Nature’s Garden is immediately reminiscent of this chewy childhood favorite, salt water taffy! Salt Water Taffy fragrance oil brings back memories of trips to the shore, vacations, and even simply visits to the candy shop. Childhood wonder and awe at the colors and flavors carries over into the world of fragrances from the moment you open a bottle of this fantastic fragrance! What Does Salt Water Taffy Fragrance Oil Smell Like? Salt Water Taffy Fragrance Oil is incredibly true-to-name with an aroma of sugary, chewy salt water taffy. How Do Our Customers Use Salt Water Taffy Fragrance Oil in Room Scenting Recipes? Salt Water Taffy Fragrance Oil creates a playful and fun aroma when used in room scenting products! Create curiously reminiscent homemade candles and tarts by incorporating this fragrance as up to 10% of your total recipe. This exuberant scent will perform perfectly in Joy Wax, Pillar of Bliss Wax, Wow Wax, and is nice and strong in soy waxes. To color your wax products, we recommend 2 drops of red liquid candle dye per 4 pounds of wax. You can also color your melted wax with a small amount of red color blocks. Do not use crayons to color your candles as they will clog your wick. Room scenters can use this mouthwatering fragrance in up to 50% of their total recipes for projects like incense and potpourri. This fragrance oil is also strong in aroma beads. How Do Our Customers Use Salt Water Taffy Fragrance Oil in Bath and Body Recipes? Salt Water Taffy Fragrance Oil is a great bath and body product fragrance for kids and adults alike! Soap makers can use this sugary fragrance up to 5% of your total recipe. According to our cold process soap testing results, soaps made with this scent experience slight acceleration. There was no ricing, no separation, and the scent stayed strong in cured soap. Cured soap did discolor to a chocolate brown, likely due to the 3% vanillin content. You can always use Vanilla White Color Stabilizer to help with discoloration. Since there are more than 40 ingredients used to make fragrance oils that can cause discoloration, you will want to test any bath and body products created using the vanilla stabilizer. Vanilla White will only help with the discoloration caused by the vanillin content. If you wish to color your bath and body products, you may use red soap colorant or pink soap colorant in the amount that satisfies you. Remember, do not use candle dye to color bath products as candle dyes are not body safe! Salt water taffy comes in many flavors and colors, making it just as diverse as the fragrance oil! Handcrafted perfumes and lotions perform well with this candy fragrance when a maximum of 5% fragrance oil is used. 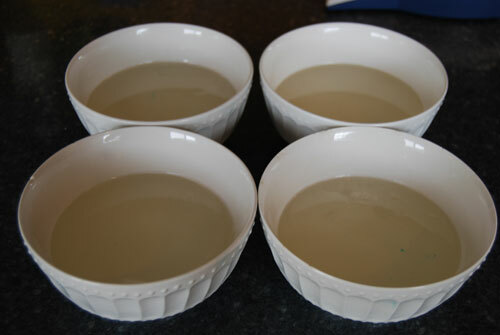 Homemade cleaning supplies also perform well with a maximum fragrance usage of 5%. Homemade bath bomb recipes, bath gels, and bath oils were found to perform well when the recommended maximum of 5% fragrance oil is incorporated.